This page now have a new layout. 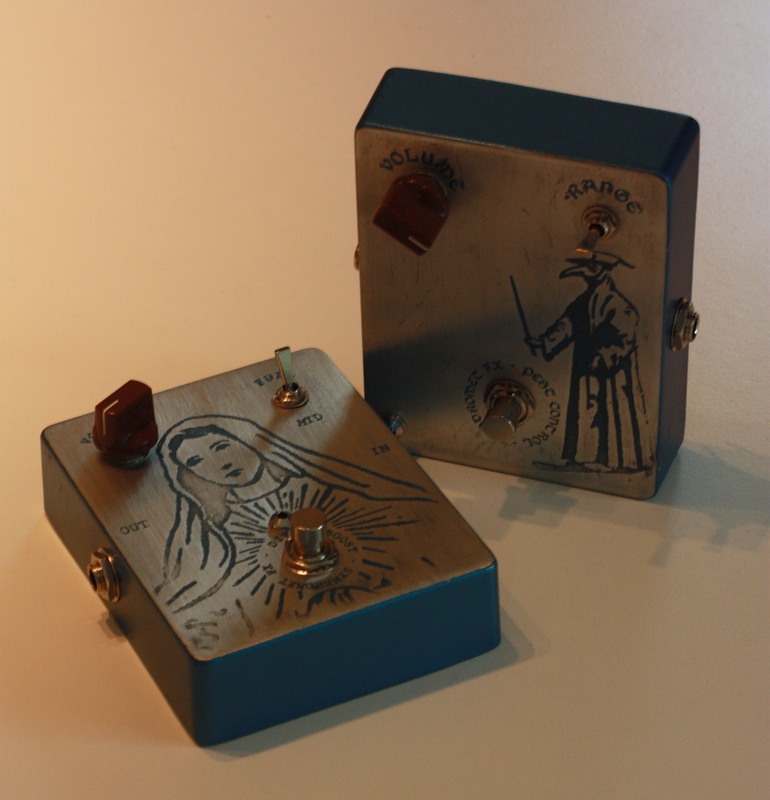 I’ve also been working on a webshop, which should be ready about the same time as the first pedals. All writing will be in English from now on, as I have gotten a lot of requests from people outside of Norway lately. I have been working on an official press release regarding Syndromet FX today, so hopefully you will be able to read about us in the guitar magazines shortly. Oh, and I’ve set up marius@syndromet(antispam).com as an official contact email for Syndromet FX. Remove the (antispam)-part if you want to send me an email. Første prototyper så godt som klare! Slik kommer herlighetene til å se ut! Hva syntes dere? Video kommer etterhvert. Prototypene på nye telepickupper er ferdig, og her er resultatet!